For a savory flavor, slowly simmered with kale, parsley, thyme, carrots, basil & turmeric. 100% Human-Grade ingredients. Bone broth for dogs and cats. Filtered Water, Beef Bones, Apple Cider Vinegar, Kale, Carrots, Organic Parsley, Basil, Thyme, Lemon Juice, Organic Turmeric. 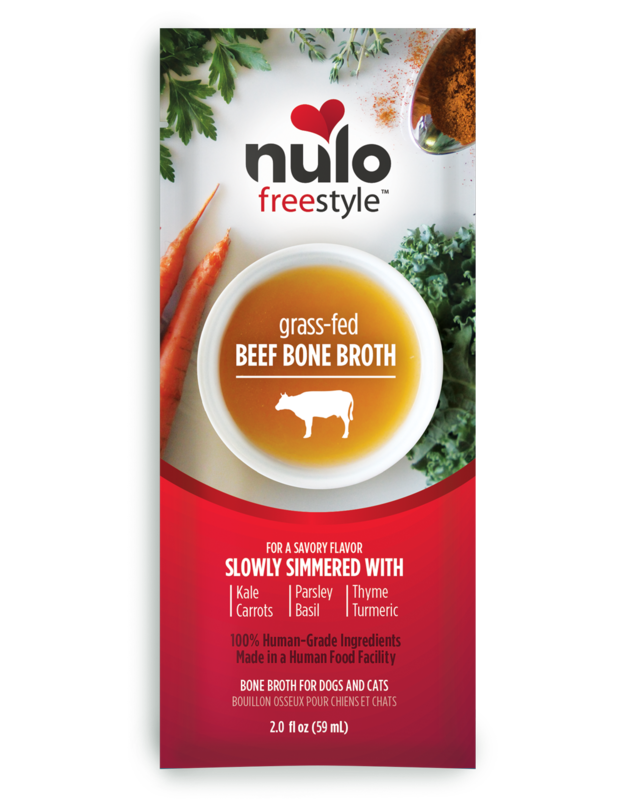 FreeStyle Grass-Fed Beef Bone Broth are intended for intermittent or supplemental feeding only. This product is intended for intermittent or supplemental feeding only. Pour on top of your dog or cat’s favorite kibble or freeze-dried food for a delicious flavor boost. Serve at room temperature for maximum flavor.